A lively new course opening up life’s hardest questions in an accessible way will be on the Church Army stand at CRE 2018. The course, Why On Earth…? which has been developed by Church Army and publishers SPCK, offers simple first steps in exploring difficult subjects – not aiming to give final answers, just starting-points. Another course, designed to help Christians talk naturally to friends, neighbours and colleagues about what they believe, will also be available for visitors to try out. Faith Pictures helps people identify a picture or image that embodies something of their faith. Visitors can also discover Xplore, for 18-30s who want to live missionally doing evangelism – peer-led communities where everyone gets to do evangelism in their own context. Church Army is a mission community rooted in the Anglican Church but open to Christians with a heart for mission and evangelism. 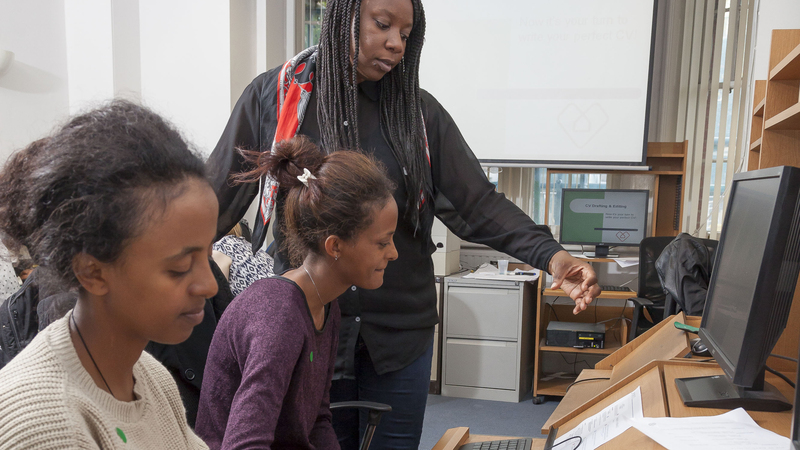 ‘Our vision is for everyone everywhere to encounter God’s love and be empowered to transform their communities through faith shared in words and action,’ says Church Army’s Louise Essam. 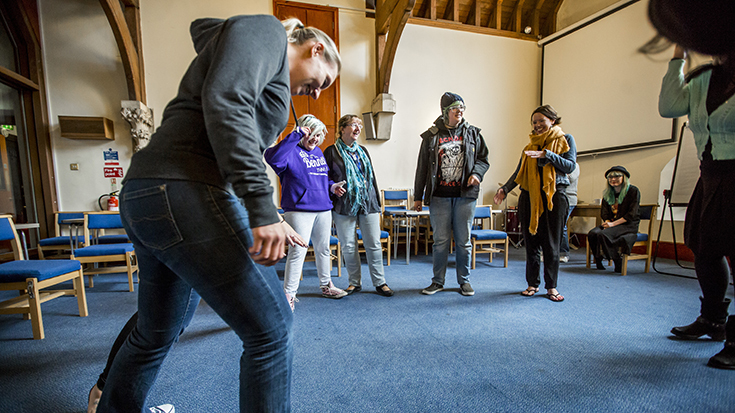 Photo: Young people in Wales are helped with self-harm issues through theatre workshops with Church Army’s Amber Project. Other Church Army initiatives are pictured below. 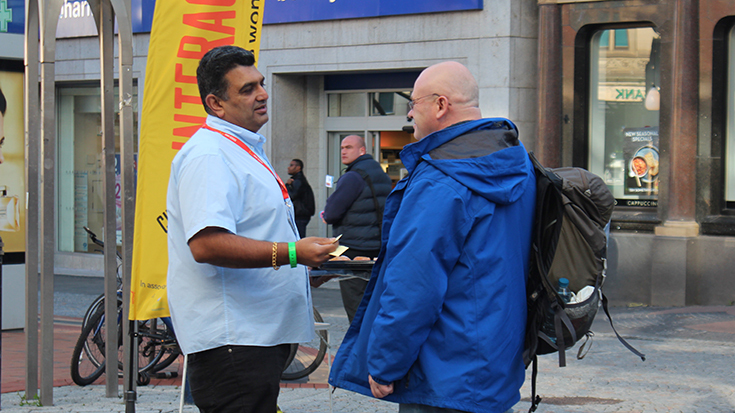 Above: Church Army evangelist Kinder shares his faith on the streets of Sheffield. Above: Marginalised women in Marylebone, London, are helped by Church Army in finding work. 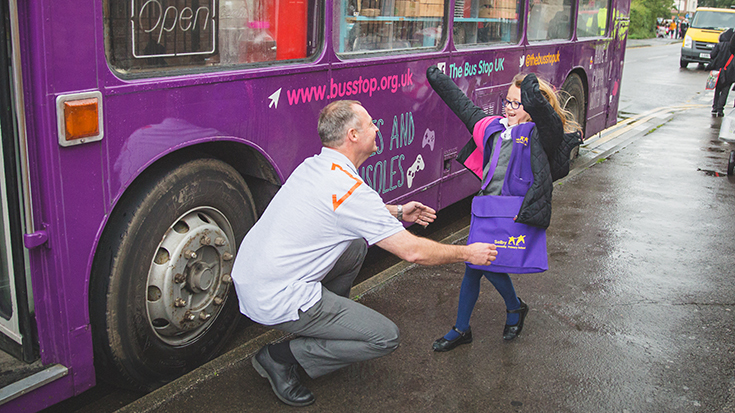 Above: Church Army evangelist Richard Cooke creates a safe space with the Bus Stop Project in Selby.